Chediak-Higashi syndrome (CHS) is a very rare autosomal recessive primary immunodeficiency disorder that arises from a mutation of a lysosomal trafficking regulator protein, which leads to a decrease in phagocytosis and impaired lysis of phagocytized bacteria, resulting in recurrent bacterial respiratory and other infections, albinism, a bleeding tendency, and often progressive neurological disease. 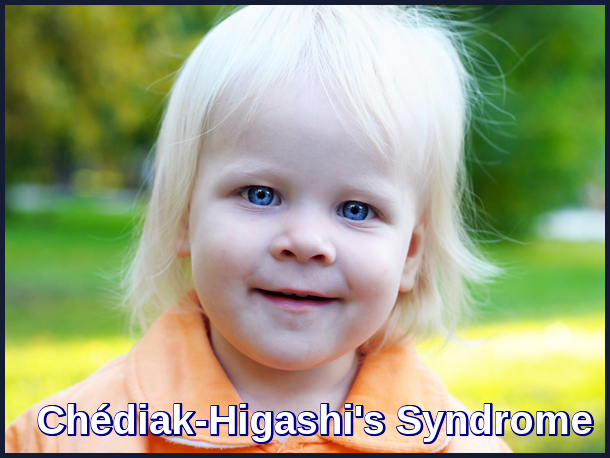 Chediak-Higashi syndrome was described over 50 years ago. Initially the condition may present as one of the varieties of albinism but the recurrent infections should make one suspect the diagnosis. Family history of the disease is a risk factor but it is uncommon to find a positive history in patients with this condition. 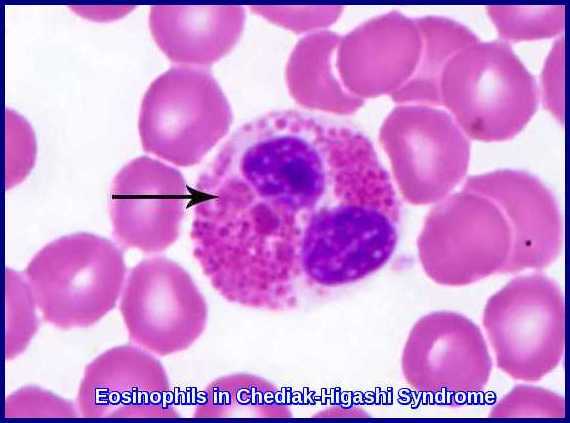 Diagnosis of Chediak-Higashi syndrome (CHS) is made by Genetic testing and the recognition of the characteristic giant granules in neutrophils, eosinophils, and other cells (e.g. melanocytes, neural Schwann cells). Bone marrow smears reveal giant inclusion bodies in leukocyte precursor cells. Laboratory findings include neutropenia and hypergammaglobulinemia. 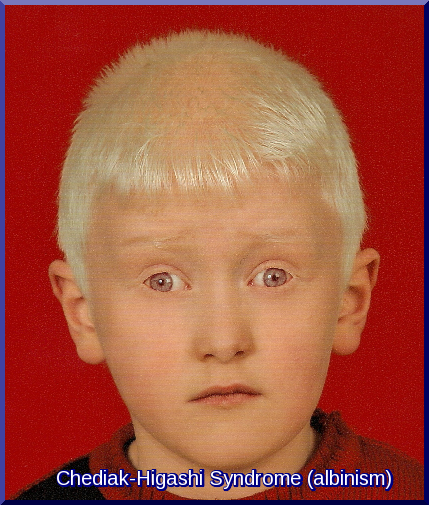 Infants born with Chediak-Higashi syndrome (CHS) have nonpigmented skin (similar to albinos but in patchy distribution), blonde hair, and blue eyes. Treatment includes supportive care using antibiotics, interferon gamma and sometimes corticosteroids and Bone marrow transplantation. Prophylactic antibiotics can help prevent infections, and interferon gamma can help restore some immune system function. Pulse doses of corticosteroids and splenectomy sometimes induce transient remission. However, unless bone marrow transplantation is done, most patients die of infections by age 7 years. Allogeneic transplantation from an HLA-matched sibling or from an unrelated donor or cord blood transplantation is the treatment of choice to correct the immunologic and hematologic manifestations of early-onset Chédiak-Higashi syndrome (CHS). Kaplan J, De Domenico I, Ward DM. Chediak-Higashi syndrome. Curr Opin Hematol. 2008 Jan. 15(1):22-9. Delcourt-Debruyne EM, Boutigny HR, Hildebrand HF. Features of severe periodontal disease in a teenager with Chédiak-Higashi syndrome. J Periodontol. 2000 May. 71(5):816-24. 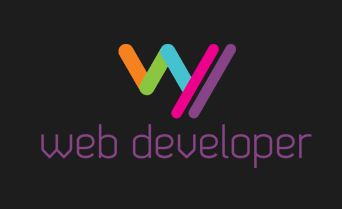 Liang JS, Lu MY, Tsai MJ, Lin DT, Lin KH. Bone marrow transplantation from an HLA-matched unrelated donor for treatment of Chediak-Higashi syndrome. J Formos Med Assoc. 2000 Jun. 99(6):499-502. Nowicki R, Sczarmach S. Chediak-Higashi Syndrome eMedicine, 2009. Tanaka T; Chediak-Higashi syndrome: abnormal lysosomal enzyme levels in granulocytes of patients and family members. Pediatr Res. 1980 Aug 14(8):901-4. Misra VP, King RH, Harding AE, et al. Peripheral neuropathy in the Chediak-Higashi syndrome. Acta Neuropathol (Berl). 1991 81(3):354-8.